We loosely try for a “meatless Monday” so today’s lunch was a panini roll finished in the oven and filled with egg salad and sprouts. The nanoshoots cost $2.50 and we shared about ¼ or 31c per serve. We enjoyed this roll a lot for $1.86 per serve. 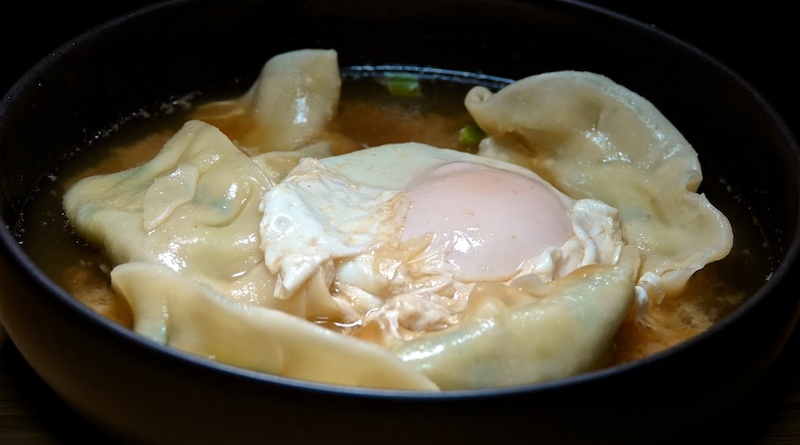 Not only is it a quick and easy meal, but the Vegetable Gyoza in Ginger Miso Broth is also meat free! A great tasting, simple and quick meal for $3.70 per serve.